Trade Show Booth Design is What we do. Get a free booth design. 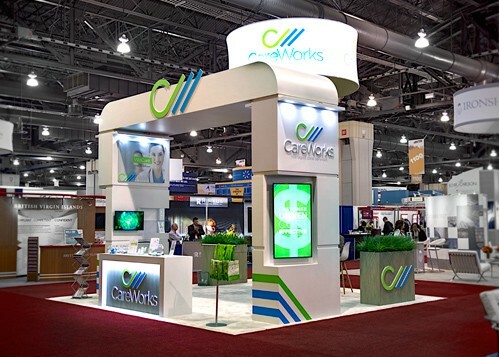 Contact our experienced trade show booth design professionals. Our highly skilled team of 3D designers will create a beautiful rendering of your booth idea absolutely free when you get a quote with us. Using the worlds only source of over 3000 trade show booth design images you can find the booth inspiration you're looking for or you can give our design team some creative freedom. You will have a Client Advocate, who understands venue regulations/ compliance and will act as your trusted advisor throughout your entire design. 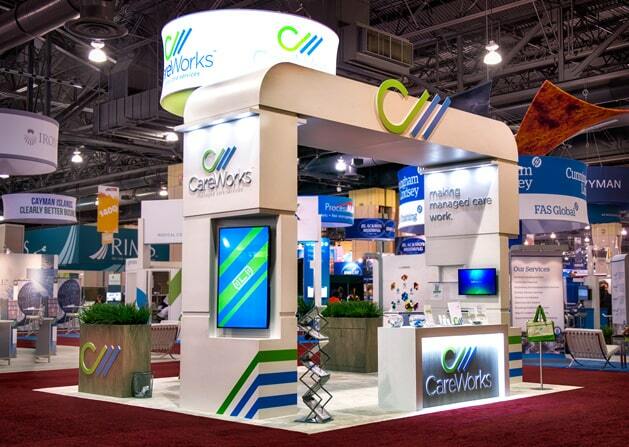 Our client, CareWorkstm was searching for a 20x30 design that we shaped to compliment their goals. 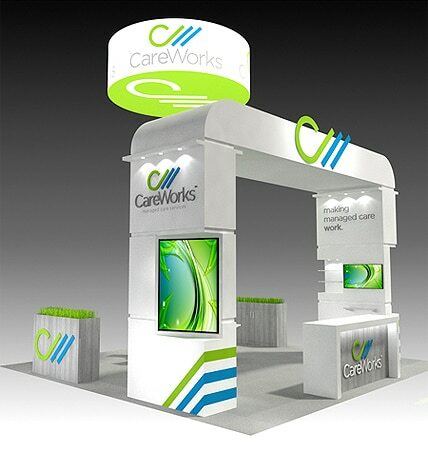 Our client advocate team shared images and ideas of trade show booth designs we had built in the past. 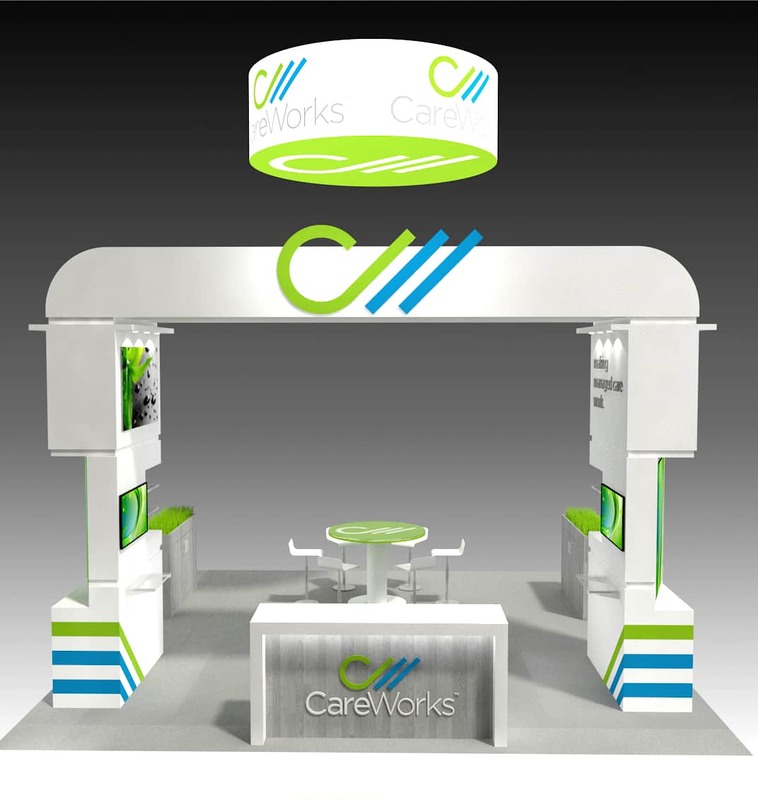 CareWorkstm slowly took pieces of different designs, while our team made suggestions to stay compliant with the event's size regulations. The results was an inspiring design.